First it was Boston. Then Atlanta. Brooklyn got in on the act, too. 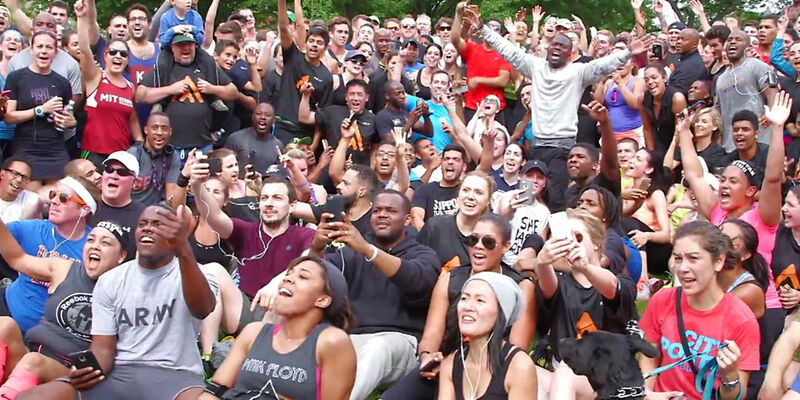 Now Kevin Hart is bringing his spontaneous 5K run to San Francisco on Saturday. These impromptu events are attracting increasingly large crowds -- more than 1,000 folks showed up for last weekend's race in New York. And no wonder. Hart is a major fitness buff and he takes these runs seriously, but they're also a lot of fun, as you can tell from the video below. The spontaneous 5K runs grew out of his role as the first Health Ambassador for Rally HealthSM. Kevin teamed up with RallySM to let everyone know that getting and staying healthy can be fun. To that end, Kevin and Rally have been using the hashtag #RallyWithKevin to promote the surprise 5Ks and other things that Kevin has been doing to get the word out about health and wellness. What time will the race be? Watch the hashtag to find out, and we'll see you there!